Sometimes the use of just one or two pieces of aids for daily living can help regain the independence that an individual needs to remain active in their own home. 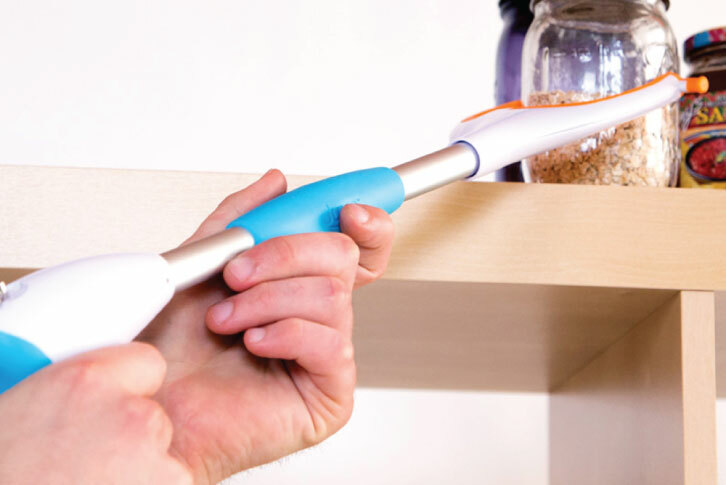 It can be a simple device like a bottle and jar opener, a hand-reacher, or something bigger like a cane or a walker. Just go online and find a reputable shop that specializes in aids for daily living and you will discover that there is a wide array of things to choose from. However, different people have different needs, so consider yours and order the products that will help you. If you are experiencing stiffness, tremor, and slowness of movement, here are our tips for what kind of aids for daily living you should get to make performing day-to-day tasks easier. If you are experiencing tremors or stiffness, to help you have an easier time when mealtime comes, a sloping dish with a deep cutlery side is just what you need to prevent spills. You can also use weighted cutlery for better balance and stability. Cups with two handles and a weighted bottom will give you better control and help reduce spills. If you have difficulties maintaining balance, you may want to consider handrails to make moving around the home easier and safer. The most common areas that often require rails are long hallways, stairs, and bathrooms. Stiffness can make simple actions, such as getting in and out of chairs or turning in bed, difficult. Leg raisers are a simple solution for these issues. Depending on your condition, you may need a walking stick or frame. These devices provide additional support to maintain balance or stability while walking. Keep in mind that your care needs may change with time. This means that the kind of equipment that you need now may change in the future. Therefore, look for items that can be adjusted to suit different needs, such as toilet seat raisers, wheelchairs that can be operated electronically, beds that have an adjustable height, etc. Also, make sure that you invest in high-quality equipment. These may cost you more upfront, but it will be all worth it in the long run. Aids for daily living need to be sturdy and durable to avoid the risk of equipment failure. Investing in low-quality equipment could also endanger your health.